our custom water depth sensor. It uses a pressure gauge at the bottom and an atmospheric one next to the controller at the top of the pole. This allows for compensation of the varying atmospheric pressure. 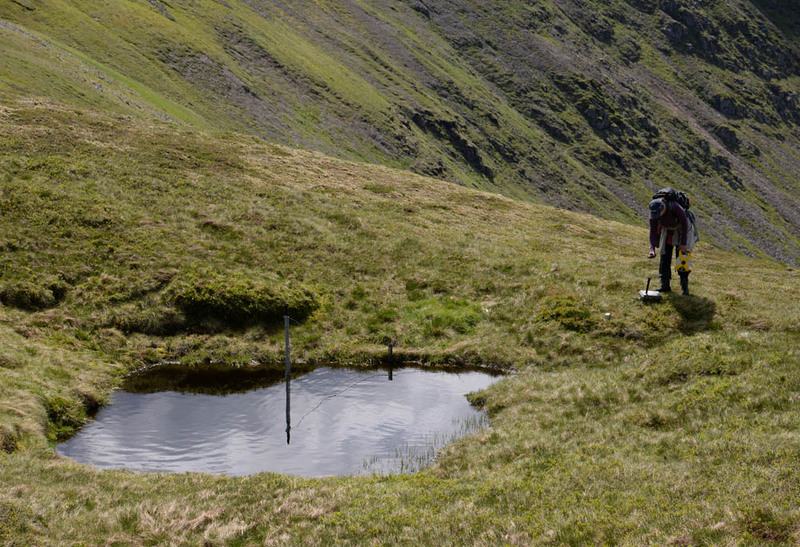 This shows a node measuring water depth of the lochan/pond and rainfall. 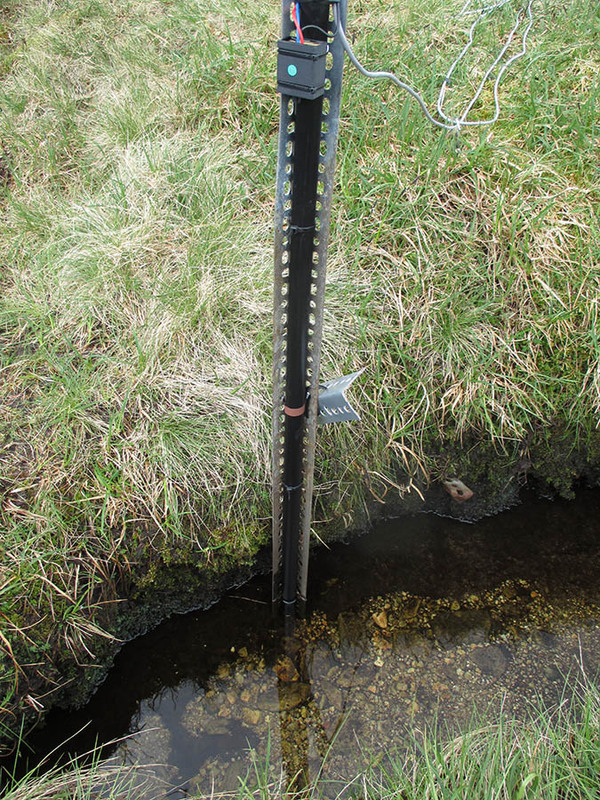 This is the same water depth sensor with two pressure sensors – one for atmospheric and the other in the water. An AVR processor and amplifiers process the signals, which are read by the node.